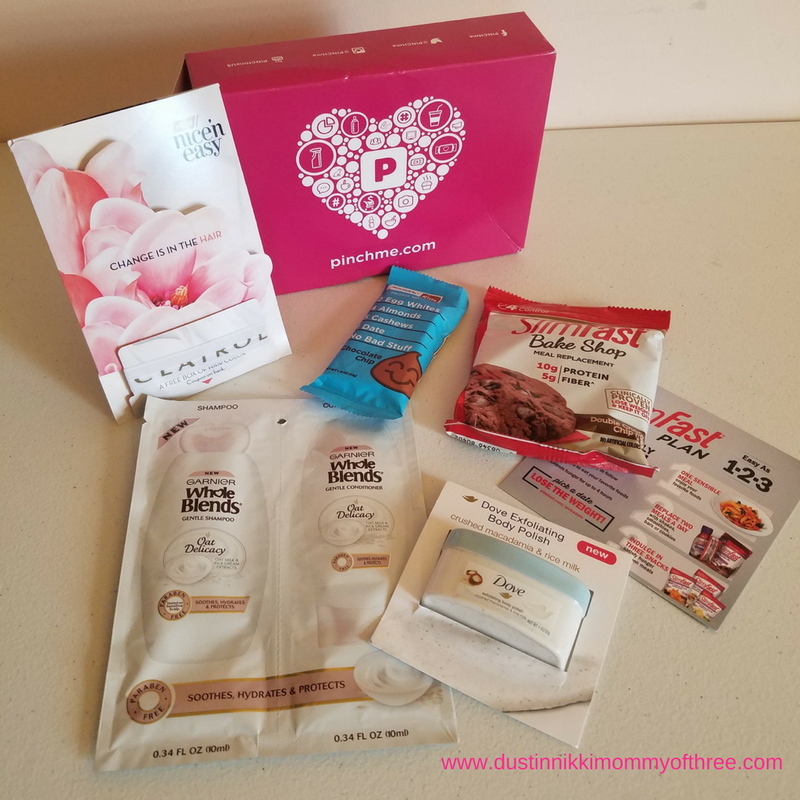 I received my first Exactly Sample box the other day and was so excited to get it in my mailbox! 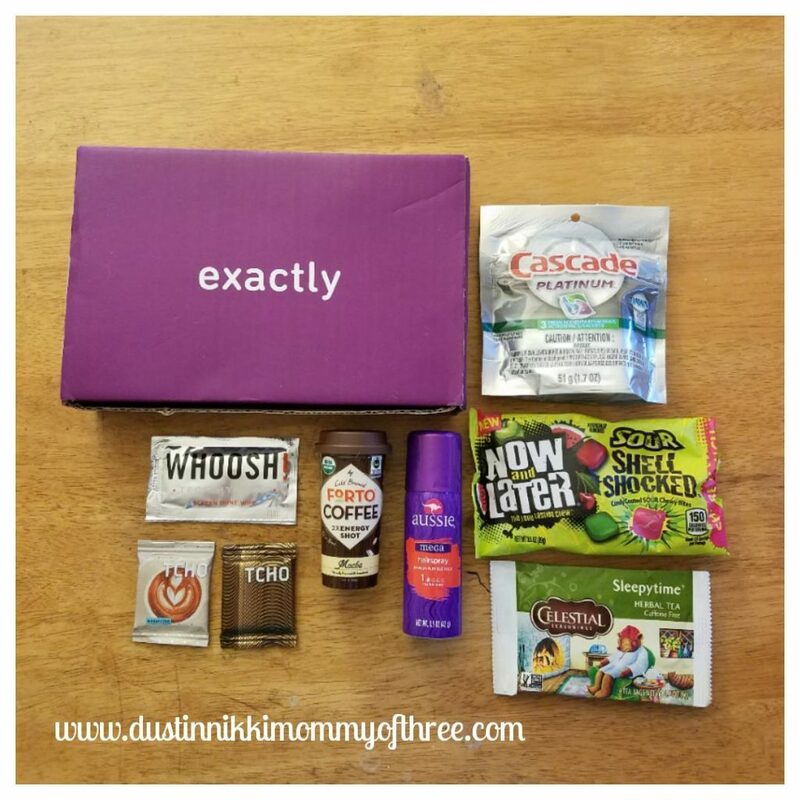 If you sign up, you can get free sample boxes. I think right now they aren’t accepting new sign ups but as soon as they do again, I’ll let you guys know. The next box comes in July! After you receive your box, you can check out more details about all the products you receive when you log in to your account. Cascade Platinum Dishwasher Tabs (3 tab sample pack) – I have been using this brand for a while and really love it. The Cascade Platinum gets my dishes really clean without leaving any kind of residue. And they are easy to use. 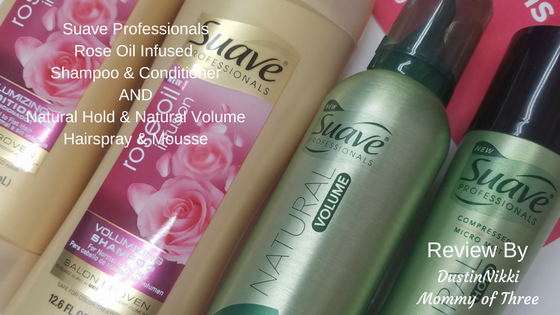 Aussie Mega Hairspray – (travel size) – There are a couple Aussie products that I like but I had never used their hairspray before. It smells kind of fruity I guess. I like this hairspray. It holds well while being flexible and doesn’t leave my hair feeling sticky or anything. It doesn’t weigh my hair down either. Celestial Seasonings Sleepytime Herbal Tea (4 tea bag sample pack) – I love this Sleepytime Herbal Tea. It’s caffeine free so its great before bedtime. I love a hot cup of tea to enjoy while relaxing at the end of the day. This tea has a really good flavor too. I don’t even add anything to it like sugar or anything. Cold Brewed Forto Coffee 2x Energy Shot (full size single shot) – First of all, this is probably the cutest thing I have ever seen. This energy shot is a cold brewed coffee and the little thing is shaped like a coffee cup. The flavor I got is Mocha (yay!). It contains the energy of 2 full cups of coffee. It’s naturally flavored and sweetened. And it’s also USDA Organic. I tried this and thought it was really good! Whooshi! Tech Hygiene Screen Shine Wipe (single sample) – I haven’t used mine yet but this is a wipe that you can use on a tablet screen, phone screen, etc. TCHO Dark Chocolate Bar (sample size) – I’m not a huge fan of dark chocolate but this chocolate is so yummy! TCHO Mokaccino Milk Chocolate Bar (sample size bar) – This one is absolutely fabulous! The chocolate melts awesomely in my mouth too. I have to find these bars because this chocolate is amazing. Now and Later Sour Shell Shocked Candy (full size share bag) – I love Now and Later candy but these are a little too sour for me. My husband loves them though. They have a candy shell and the inside is chewy. I love the texture and the chewiness of them though! They also come in original flavors too which I am sure I will love those. I also got a few coupons in my box as well. One is for a free Ebook, a dollar off any TCHO product in store (woohoo! ), a coupon code to use at thirdlove.com to take 20% off, and an information card about the Now and Later Candy. So that was what was in my first Exactly box! I will let you guys know when they are accepting new signups. If you are already signed up, what did you think of your samples? Disclaimer: I was not compensated for this post. 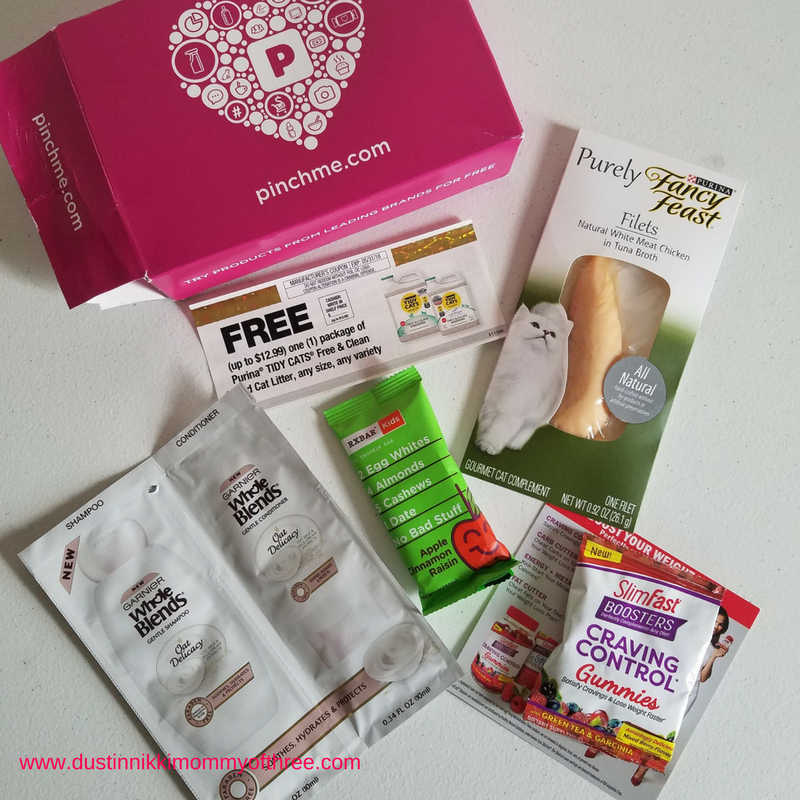 However, I did receive a free sample box with samples of the products mentioned in my review. All opinions are 100% my own. I was unable to use the Cascade Dishwasher tabs because I do not have a dishwasher. I do not use Hair Spray but I gave it to a friend that uses hair spray, she loved it, kept her hair in place and was not sticky. Easy to wash out. The Tea was great, something nice to drink before going to bed. Loved the little shot of coffee. Tasted great, did not need to add anything to it. Screen Shine, did not think using this on my touch phone was a good idea so I used it on my computer screen and it worked great. Both Chocolate bars were good, liked it a lot. Now and Later full size sample. I grew up with this and it still tastes great. My coupons are for the WHOOSH, Now and Later (not really a coupon just information) and THIRDLOVE Bra offer. I love this box because you get exactly what they say you are going to get. I do like Exactly boxes a lot.